Guitarist, ideologue and SF fanatic, Pinhas has influenced a wide assortment of contemporary musicians and electronic composers. Though primarily remembered for his uncompromising work with industrial rock pioneers Heldon, Pinhas' solo recordings are vital expressions of his own personal commitment to the intersection of rock with philosophy, science fiction, technology and revolutionary politics. Metatron finds Pinhas in relatively calmer waters than on previous solo efforts - though not without a few brain-searing guitar leads for which he's well known. But overall, the twelve pieces on Metatron show Pinhas' maturation as a composer of sound as opposed to a composer of songs. The starkly beautiful "Shaddaï Blues," which features Pinhas' metatronically processed guitar swirling over a wall of electronic sound, is immediately followed by the Heldon-like roar of "Metatron/Shaddaï/Chabbataï" achieves a monolithic splendor reminiscent of such Heldon masterpieces as "Bolero" and "Perspective IV." "Tikkun (part 2)" and "The Fabulous Story of Tigroo and Leloo," which open the second disc, again shows the polarities inherent in Pinhas' conception of music. The former is all Glass/Reich rigor and precision. Its repetitive sequencing evokes the slow, gradual process of continental drift, as if Pinhas were conjuring and crystallizing the elements that make plate tectonics possible in the first place. "The Fabulous Story of Tigroo and Leloo" is an explosion of guitar/synthesizer pyrotechnics that roils with the high energy of rock chained to Pinhas' isochronic technique of composition and Gilles Deleuze's theory of the "superfold," with Pinhas' burning guitar lines racing alongside the driving sequencer that ultimately propels the piece into the upper regions of the stratosphere. The slowly evolving "Metatron(ic) Rock" amalgamates various looped guitar phrases into a richly textured spiral of polymorphous sound. The jazz-inflected "Babylon Babies" brings Pinhas closer to his latent fusion roots, albeit with some hard-edged lead runs that recall the glory days of Heldon's masterful Stand By. The almost autumnal "Tikkun (part 3)" proves a fitting coda to metatron, its static waves of electro-sound building to an unresolved denouement of serpentine bass, stochastic drumming and Pinhas' own coiling strands of metatronic-processed guitars. 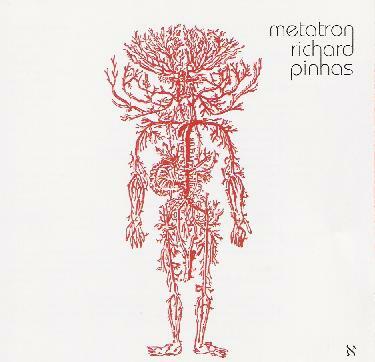 Though not as breath-takingly innovative or incendiary as his work with Heldon or his early solo discs, Metatron nevertheless reveals Pinhas' music as an ever-growing process of accumulation and consolidation and displays an intellect never content to simply repeat past successes. Fans of Pinhas' solo work as well as his collaborations with other artists in recent years won't be disappointed by Metatron's absorption of new influences and sound sources. The electronic guerilla marches on. For more information you can visit the Richard Pinhas web site at: http://www.richardpinhas.com.